In today’s world coffee is quite popular! 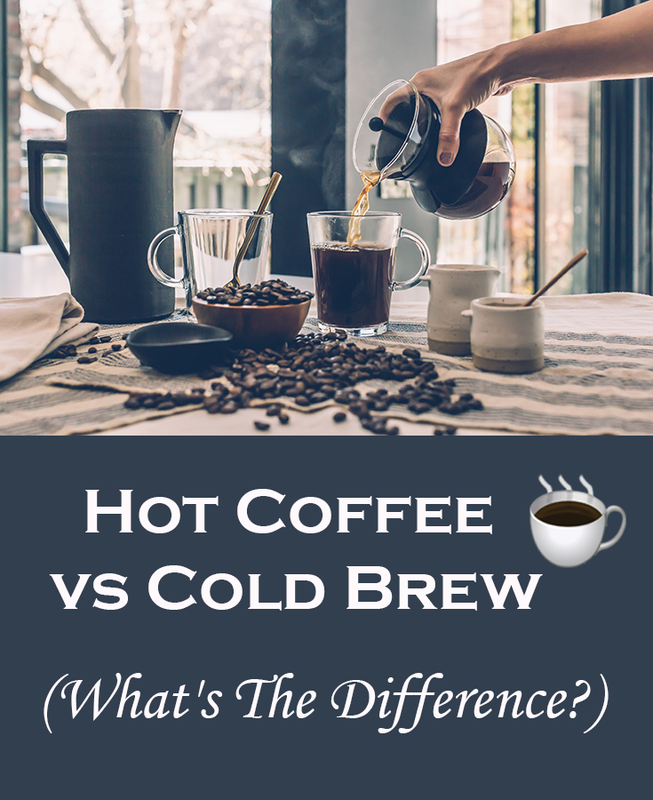 Coffee is something that MANY people can’t do without in the morning and a beverage that is definitely available in many forms and flavors because it is made in a variety of ways! I grew up watching my grandparents drink black coffee! I think my grandfather adds sugar but my grandmother drinks it straight out of the pot. She doesn’t add no sugar or no creamer. She likes it just the way it is brewed! As a child you wouldn’t catch me drinking coffee but now I LOVE it! One type of coffee I have become fond of over the last few years is cold brew coffee! I will drink hot coffee once ice has been added along with sugar and creamer to make it cold and sweet! Flavor – Since cold brew coffee takes longer to make, the flavor of the coffee can change dramatically! Cold brew coffee is made in room temperature water and since water temperature affects the extraction rate, making cold-brew coffee takes much longer. It also has LESS acidity and lower bitterness as a result. Time – When making hot brewed coffee you can have coffee that you can drink in minutes while making cold brewed coffee can take anywhere from 3 to 24 hours before it is ready. Cold Brew Is More Versatile – With cold brew coffee you can’t just drink it once it is ready. What you are making is more like a coffee concentrate that you can add with a variety of other ingredients like cold water, hot water, milk or creamer to make your perfect coffee. 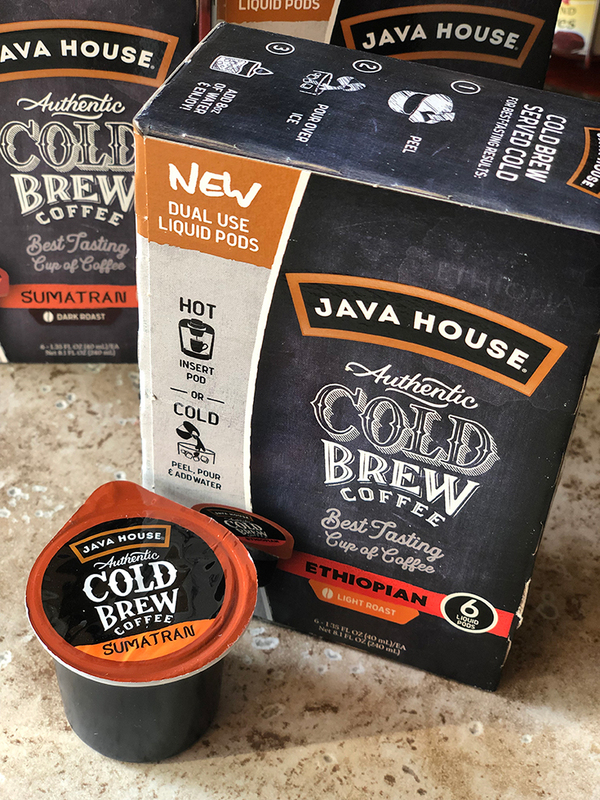 For those of you that are fans of the cold brew coffee, Java House has a line of “Authentic Cold Brew Coffee” that are dual use liquid pods that can be used to make HOT or COLD coffee! How cool is that? 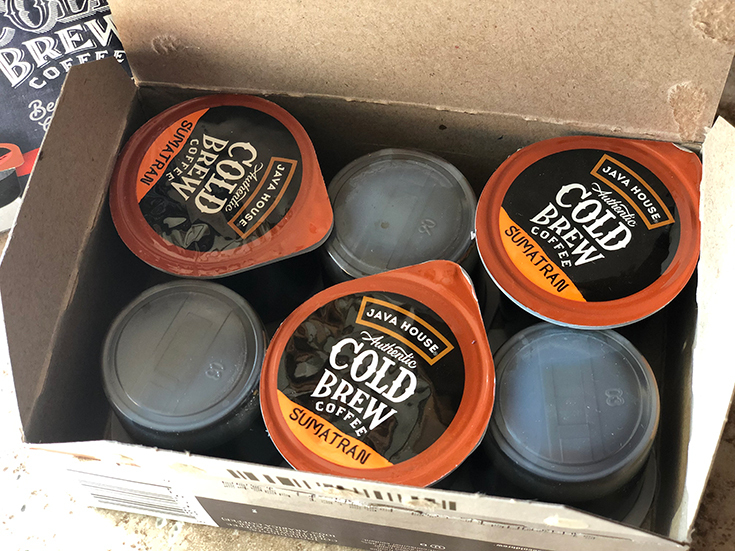 Java House’s new Authentic Cold Brew pods feature their delicious cold brew in concentrate form (instead of the traditional grounds you find inside a K-cup). That means you can open, pour over ice, add water and enjoy. Or, pop the pod into your Keurig machine to enjoy a less bitter, less acidic and much smoother cup of coffee. 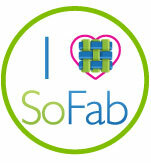 No preservatives, additives, or coffee derivatives. 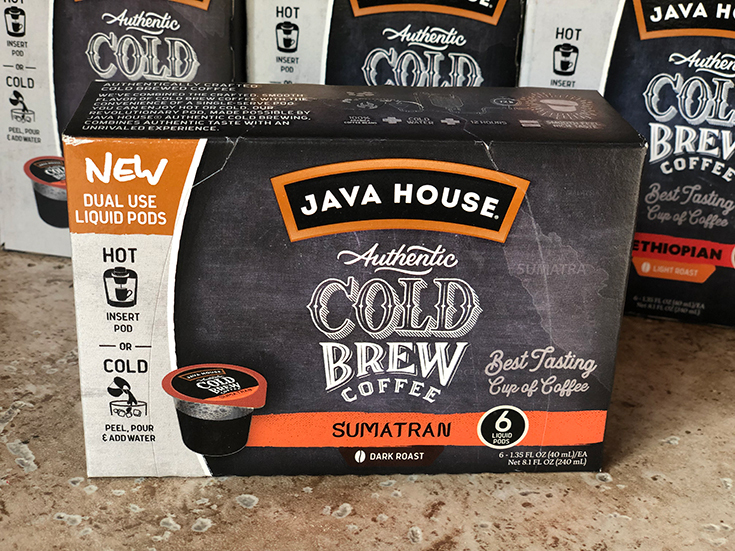 What makes the Java House Authentic Cold Brew Coffee Liquid Pods so handy is you can have cold brew coffee anywhere you go! You can put the pods in your lunchbox or maybe even your purse! Instead of waiting for hours to make your own cold brewed coffee, these pods make it easy to have cold brewed coffee in seconds!